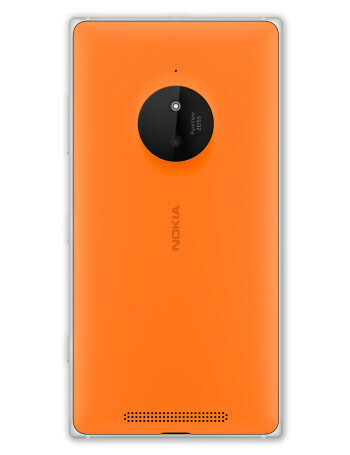 Aperture size: F2.2; Focal length: 26 mm; Sensor size: 1/3.4"
The successor to the Lumia 820 is another colorful Windows Phone with signature characteristics like a Lumia 1020-like 10MP PureView rear camera with OIS, a removable back cover, and hardware capacitive buttons. Designed as an affordable high-end device, the Lumia 830 houses a 5-inch 720p panel, and it's powered by a quad-core Snapdragon CPU. 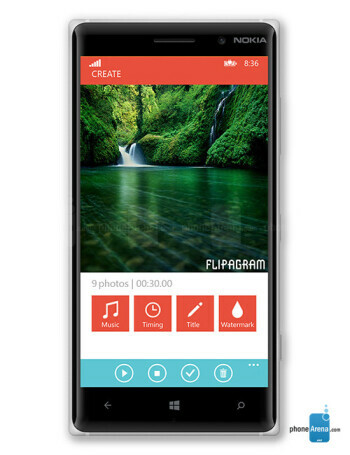 It runs on Windows Phone 8.1 with the Lumia Denim update. 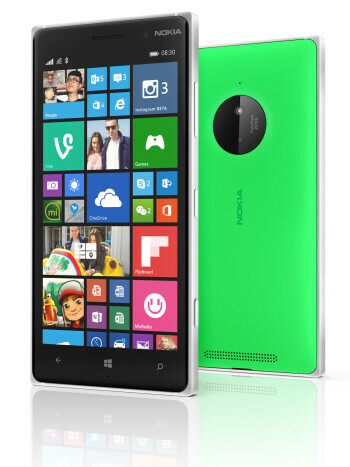 Microsoft Lumia 840 to replace Nokia Lumia 830? 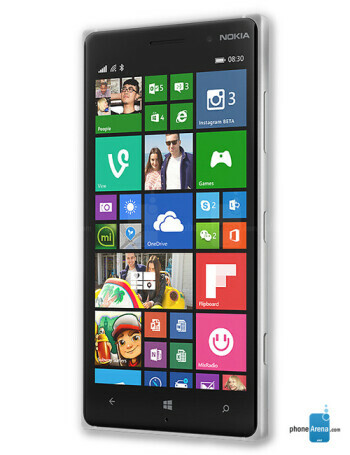 Nokia Lumia 830 Gold Edition to hit China on January 8th?